Wrangell’s museum is hosting a traveling collection of dolls. 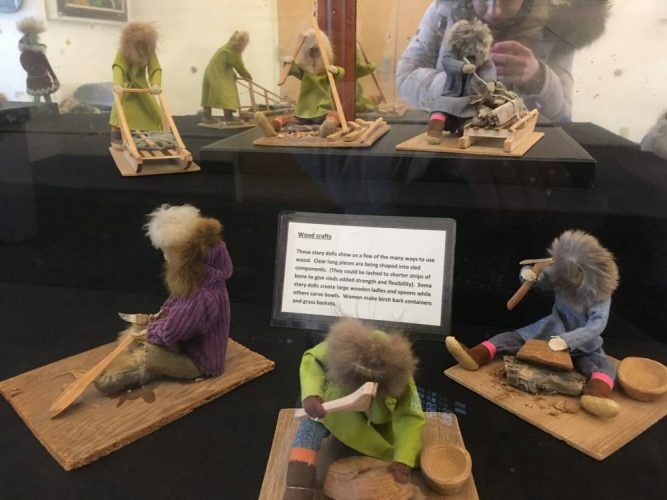 The 47 dolls depict life in the Yukon Kuskokwim Delta in the 60’s and 70’s. KSTK’s June Leffler spoke to the doll collector, Jane Niebergall. The Nolan Center will have the collection on display until the end of March. Nolan Center director Cyni Crary says she hopes this is a start to bringing more traveling exhibits to the museum. PreviousWrangell 5th safest city in Alaska.